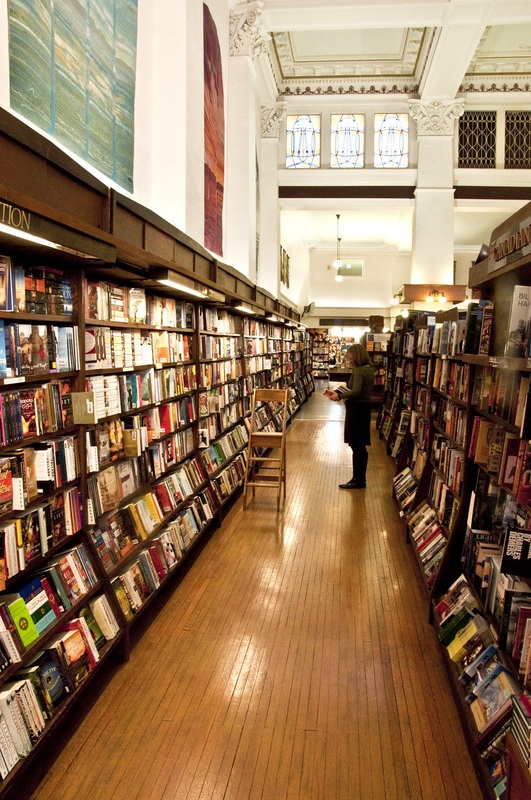 Munro’s Books has been a destination for book lovers for more than 50 years. 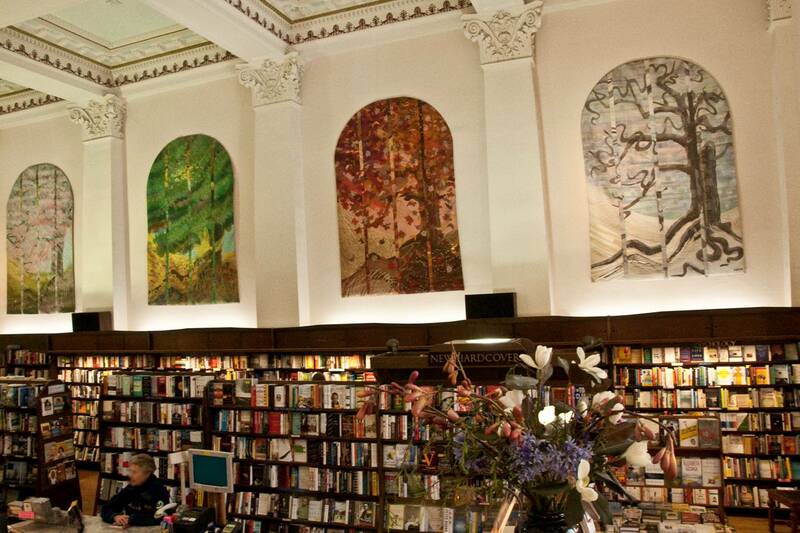 With our heritage building and striking artwork, we are often included in lists of the world’s most beautiful bookstores. Munro's Books now occupies a landmark location in the heart of Victoria's Old Town, but its origins are much more modest. In 1963, Jim Munro and his first wife, Alice — yes, that Alice Munro — set up shop in a long, narrow space on Yates Street, near Victoria's movie theatres. 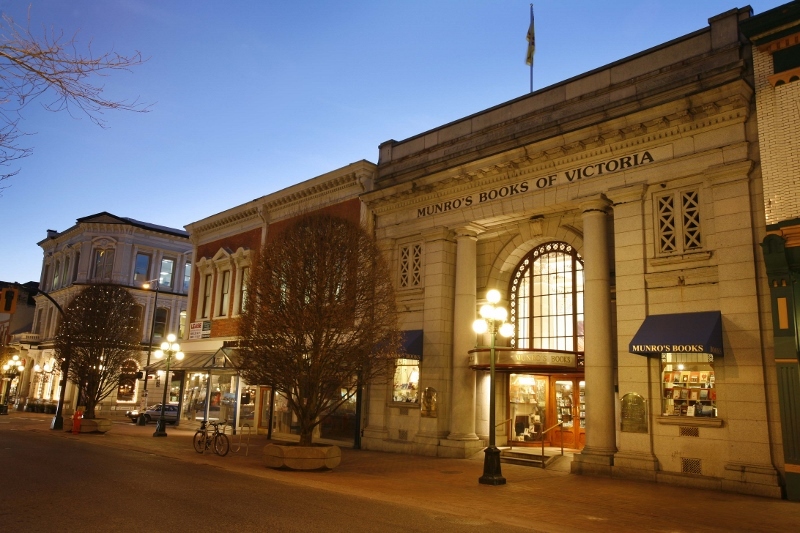 Bookstores were few and far between in Victoria; Jim's main competition in those days came from the book sections at the local department stores. But the location was convenient for younger, movie-going customers, and the staff's interest in new trends in writing and other art forms built a loyal clientele. The store relocated to larger premises on Fort Street in 1979 and then to its current location in 1984. Jim Munro announced his plans to retire from the business in September 2014. He wanted the store to continue to serve the many passionate readers—both locals, and visitors from around the world—who visit Munro’s every year. To that end, he decided to turn over ownership of the store to four long-term staff members. When Jim Munro passed away in November 2016, tributes poured in from across the country, a true testament to the legacy he so lovingly built. Our fine neo-classical building was designed for the Royal Bank of Canada in 1909 by Thomas Hooper, the architect of many of B.C. 's finest commercial and public buildings. The beautiful coffered 24ft. ceiling closely resembles the ceiling of the porch of the great library of Ephesus built by the Romans in the 2nd century AD. When Jim Munro bought the building, which had been tastelessly modernized in the 1950s, he set to work restoring it to its former glory. In the space of only 8 weeks, it was refurbished and ready for business. The building has since received two heritage awards. Part of the refurbishment of the building was the commissioning and hanging of eight large fabric banners by Carole Sabiston depicting The Four Seasons. These were added to a collection of her other fabric works inspired by ten classic works of literature, which used to hang in our previous locations. Her artwork itself draws many visitors to the store. 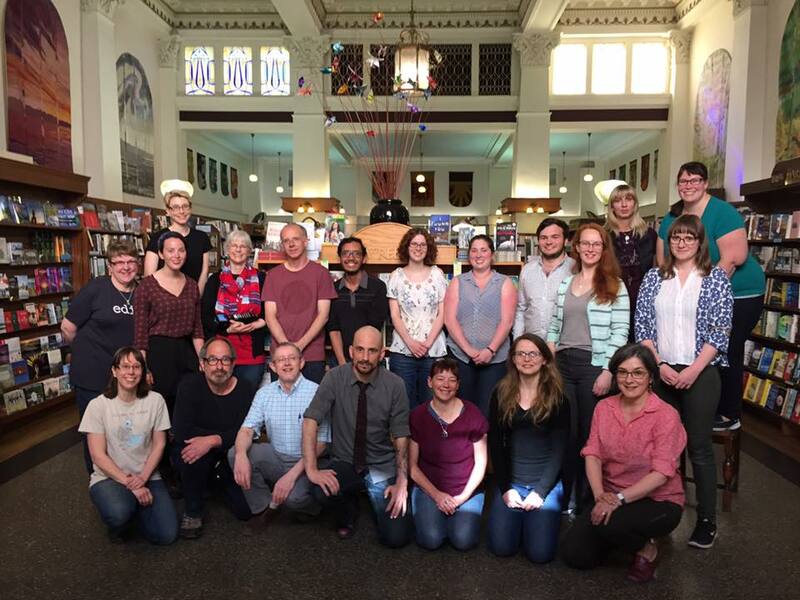 Munro’s Books takes great pride in our committed staff of passionate booksellers. Many of us have worked in the industry for more than a quarter of a century. Our longest-serving staff member has been with us for more than forty years! The owners and the entire staff are committed to Munro’s Books continuing to be a favourite place to meet friends, browse the shelves, and discover the next great book to read.